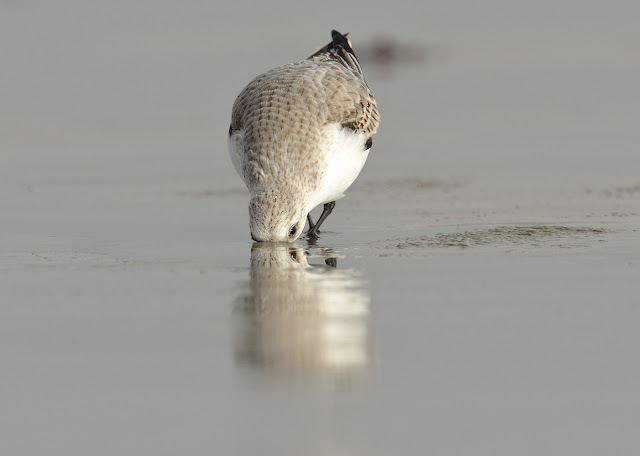 I took these shots on Friday last week on a very low tide at Newlyn. 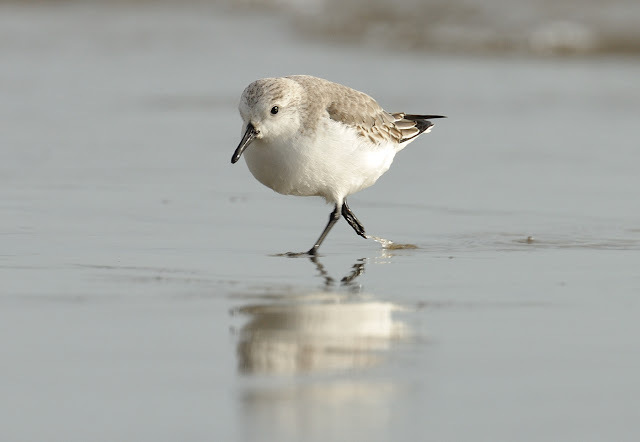 Sanderlings make good subjects and they always create headaches when judging exposure settings. I took about a hundred shots, most of which I was pleased with. These two below were shot at +1.0 EV, Aperture F/7.1, Shutter 1/800s. Top notch Steve,love the first image. I don't think you need that PDF I emailed to you. Brilliant shots. I wish we had a few at Par. The second one is a great capture Steve. I love to see these kind of shots.